An electric bike is a normal bicycle that has been adapted or manufactured to include an electric motor, giving the rider a helping hand to tackle hills, or simply make the ride easier and more enjoyable. The law in England, Scotland and Wales means that you do not need a licence to ride an ‘electrically assisted pedal cycle' (also referred to as an EAPC, ebike or Pedelec). Nor do you need to register, tax or insure it - if you are over the age of 14 you can simply ride an electric bike in the same way as you would a regular push-bike. Unfortunately in Northern Ireland this is not the case and you will need a motorcycle licence to drive any form of electric bike. Just like normal pedal cycles, e-bikes now come in loads of different styles to suit your needs, including mountainbikes, road bikes, cargo bikes and even folding bikes! 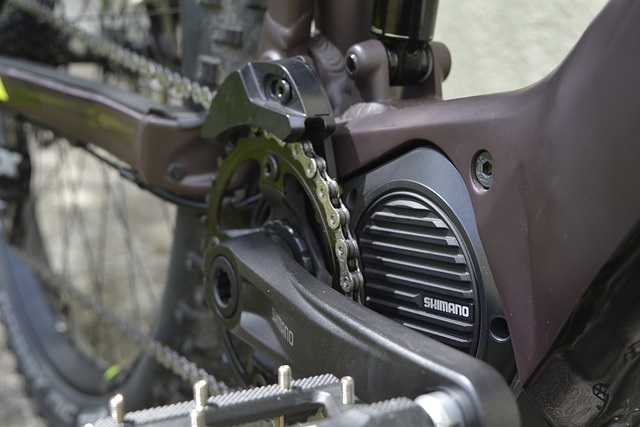 Because of the battery they will tend to a weigh a bit more than a standard pedal cycle. Typically the whole bike weighs between 24-30kg. However, the added benefit of the electrical assistance will still make it very easy to ride. Many people are wary about getting into cycling as they worry they won't be fit enough, will be sweaty when they get to their destination or won't be able to keep up with friends and family. An e-bike is the perfect solution to this! An e-bike gives you the help you need to ride comfortably, whilst still allowing you to burn calories and build up your fitness! Being able to accelerate quicker on an e-bike can be very helpful at junctions or traffic lights, making you flow better with the traffic and helping you to feel more confident. Compared to a motorbike or scooter, an e-bike is very quiet, so you won't have to worry about not being aware of the sounds of road around you. We all know the benefits of getting outdoors and exercising. Whether you swap your daily commute in the car for an e-bike, or venture out at the weekends, an e-bike is great way to get out and explore your surroundings like never before! Cycling is great for your personal wellbeing, but its also great for the environment. If having an e-bike means you are less likely to nip to the shops in your car or be stuck in traffic on your way to work, then you'll be doing your bit for the planet. Although more expensive than a conventional bike, buying an e-bike doesn't need to break the bank. Expect to pay £600 - £1000 for a really solid, reliable, quality electric bike. Whilst they may seem expensive, by replacing short car journeys or public transport you will soon recoup your money back in petrol, parking and congestion charges alone! Electric bikes are available to purchase on cycle to work schemes (up to £1000) and via the Ride it away retail finance (up to £15,000)- just the same as a normal bicycle purchase.